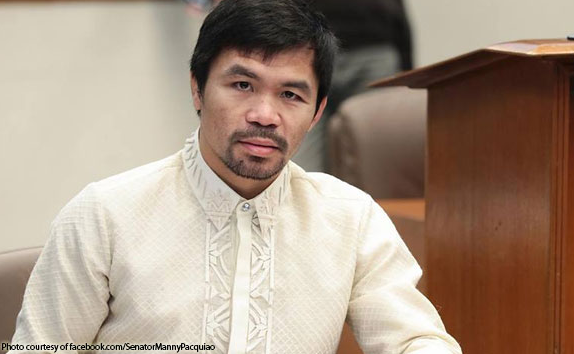 Home / News / Sen. Pacquiao's bodyguard manhandles Tito Sotto's niece: "He used his body to hold me in position"
Sen. Pacquiao's bodyguard manhandles Tito Sotto's niece: "He used his body to hold me in position"
Beverly Anne Sotto, Niece of the Senate Majority Leader, Vicente Sotto III filed a letter of complaint to a body guard of senator Emmanuel “Manny” Pacquiao because of being man handled by the body guard. In the letter of complaint, Sotto mentioned that the body guard used his body to hold her in position, touching his (Body Guard) with hers bringing Sotto to a very tight space inside and elevator. Sotto added that she felt very violated and insulted of the actions of the body guard and could not contain her feeling that her being female gave him freedom to do such action to her. "He used his body to hold me in position, leaving me in a very tight space with parts of his body touching mine to subdue any movement from me. I fell very violated and insulted by the actions of the said bodyguard. I could not help feeling that my being a female emboldened him to take such liberties with my person," Beverly said in her letter. 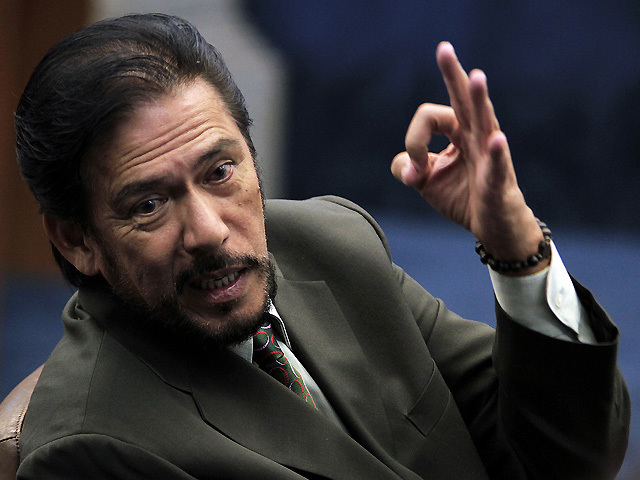 Sotto also mentioned that this was the first time she encountered such abuse and manhandling from any one in her 11 years in the senate and 6 months in the Local Government Unit and knowing that the mis-treatment did happened in the VIP-Elevator of the Senate of the Philippines was not acceptable and added that she still feel very emotional about what had happened. "In my 11 years working in the Senate and six years in local government, this is the first time i encountered such abuse and manhandling from anyone and to think that this mistreated happened in the VIP elevator of the Philippine Senate is totally unacceptable. I am so insulted, offended and disgusted by the actions of the said bodyguard that I am still very emotional up to now." Beverly said. 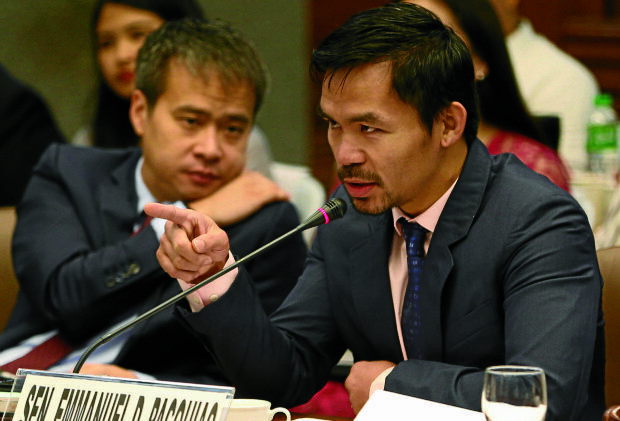 "Sinumbong ko kay Pacquiao. Sabi ko pagalitan mo na lang. Sabi eh hindi, hindi pwedeng pagalitan ko ito, sabi nya uumbagin ko ito. Sinikmuraan. mahapon daw na hindi nakakain. 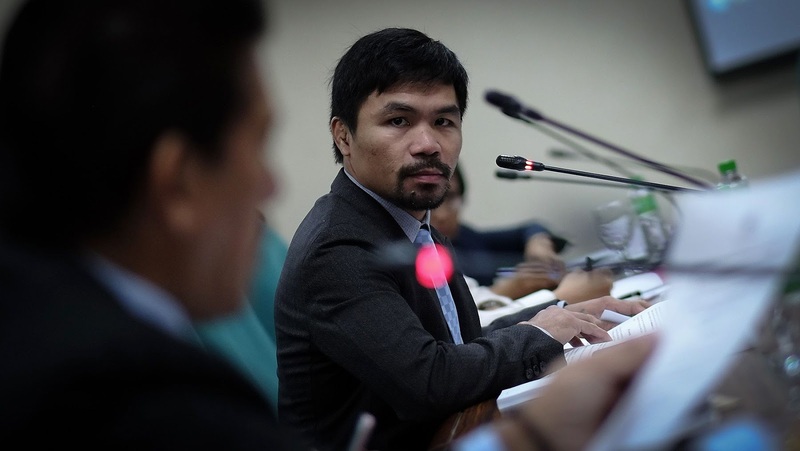 Ayun nakatikim," Sen. Sotto told reporters.